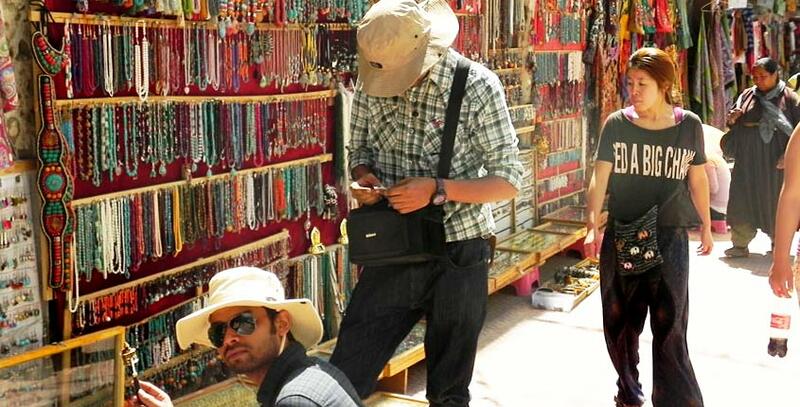 You can enjoy shopping for curios and souvenirs in the bazaars and markets of Leh, while on your tour of Ladakh. Popular items with tourists are Pashmina shawls, stoles and other Pashmina wool garments. Locally handmade woolen socks, gloves, caps and sweaters are a favorite of tourists in Ladakh. Tibetan handicraft items including prayer wheels, Buddhist masks and Thangka paintings can be purchased in Ladakh. Tibetan silver jewelry and traditional Ladakhi jewelry with turquoise are also popular with tourists. Apricots that grow abundantly in Ladakh are another popular gift that you can take back as a delicious souvenir of your trip to Ladakh. Handwoven rugs, carpets and shawls are available in a range of prices in Ladakh's markets. The carpets have floral or geometric designs or dragon motifs on them and can also be hung as decorative wall hangings. Woven in wool gathered from Ladakhi goats, and dyed with natural dyes, Ladakhi carpets and rugs are thick, long-lasting and objects of utility and beauty, which you can buy while shopping in Ladakh. Some other popular items with tourists are Pashmina shawls, stoles and other woolen garments. Handmade woolen socks, gloves, caps and sweaters are also a favorite of tourists in this region. Then the market is also filled with carpets and handwoven rugs in a range of prices. During your visit, you must not forget to buy apricots, because this dry fruit of the region is considered to be of a good quality. 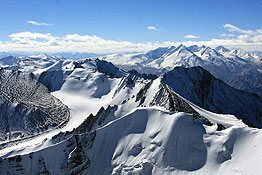 You can shop from local markets in Leh (Tibetan Market off the Old Leh Road for clothes, Moti Market near the Leh bus stand)and Ladakh (Ladakh Art Palace,Women's Alliance in Changspa, Tibetan Handicraft Community Showroom in Choglamsaretc.) or government-run emporiums, the choice is yours.